If you're a bookworm just like me, I'm sure you'll enjoy this place. 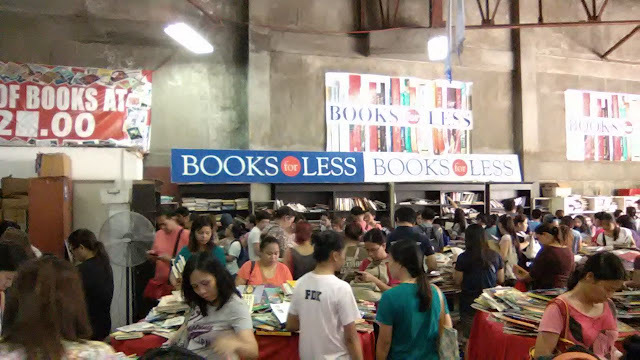 It's like heaven for us book lovers (well, maybe except for the lack of ventilation and it being over-crowded.) 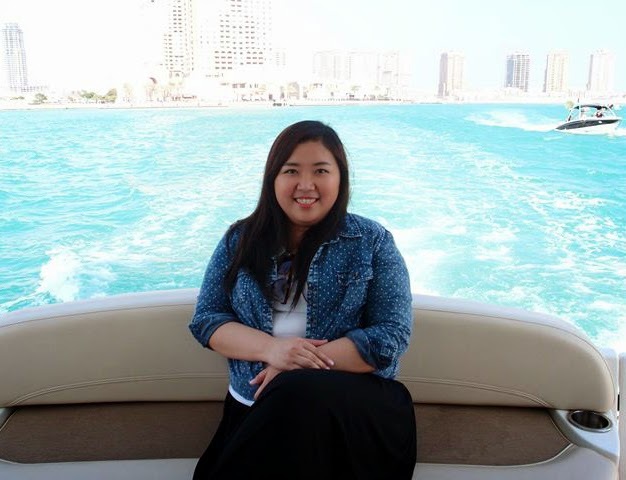 I chanced upon this in another blog post, I just knew I had to beg and drag my husband to go with me. The warehouse opens at 9:00 am till 5:00pm. We were planning to go this early, but with the wonderful traffic in Manila (esp. Ortigas Ave.) we got there at around 11:00 am. By this time, the place was really packed. And no, I don't just mean with books. Everything was at Php20.00 which is really a very good buy. Although, there were some issues regarding organization and foot-traffic flow, but I think that you only get what you paid for. Use the bathroom before you leave the house. They have a toilet inside the warehouse but the line is crazy and I can't assure you of the cleanliness. Bring a bag or a box where you can put your purchase/s. Bring a sanitizer/wipes/alcohol. You'll need one when you're finished going through the books. Wear comfortable clothes. It can get really rough inside the warehouse so it would be better if you could move comfortably. Bring an extra dose of PATIENCE. Believe me, you'll need it. 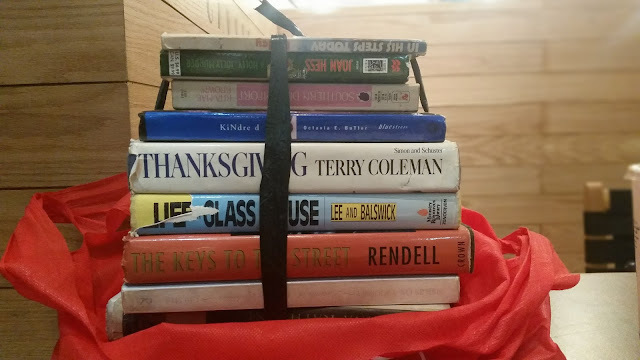 I got a total of ten books - from different genres - some hardbound and some on paperback. Did I mention that there was absolutely no means to identify genres in the shelves? Well, there isn't, so it's best to go through all shelves. There are also children's books (all placed in the tables at the middle of the warehouse) but I don't suggest that you bring your kids with you. 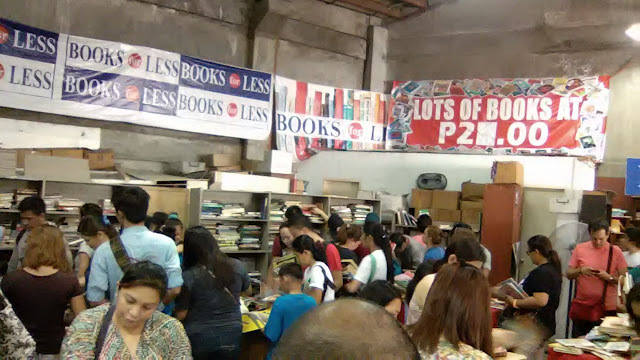 The BOOKS FOR LESS Warehouse is located along Mercedes Ave. in Pasig City (right in front of La Consolacion College Pasig) and will run until the 31st of August except all other Mondays before the 31st. Here are some tips on how to get there. This is very interesting. Too bad I won't be able to catch it before it ends. Are you coming to the Philippines soon? man I love warehouse sales!! Me too! I love the sales, but the crowd, not so much. Haha. My husband is planning to go there on a weekday with our eldest daughter. Thanks for the tips, I guess he should go by himself haha. I saw some kids in the area but they didn't bother going inside the warehouse. They just stayed in the parking lot.